BC home equity partnership, friend of foe? Last month, the BC liberal government announced a initiative to “help” first-time home-buyers enter the increasingly expensive real-estate market. The province consistently sees the highest prices when it comes to housing. You can find all the details about this program here. Of course, the announcement sent quite a shock wave across the personal finance and banking communities, as basically the program is a loan up to $ 37 500.00 to help with the down-payment requirements. The loan is registered as a second mortgage on the property. The first five years are both payment and interest-free, but if you sell you will have to pay the full amount back at the time of conveyance. After the five year period, you will have to make payments both on your mortgage and this loan. This is the element that can set people up for a financial disaster, depending on their circumstances. A lot can happen in 5 years, including a raise in interest rates. Living in British-Columbia is very expensive, not just housing-wise. British-Columbians pay the highest amounts on car insurance, gas and daycare fees. Groceries aren’t cheap either. Unfortunately, salaries don’t always match these high living costs. Genworth, one of the mortgage-default insurers in Canada, announced this loan would be treated as a non-traditional, borrowed down-payment -which it is- and included into the debt service calculations, effectively lowering the mortgage amount one would qualify for. On top of this, the mortgage default insurance rate will be higher. No doubt CHMC will follow suit as well as a lot of lenders. So long for improving accessibility and affordability, particularly in Metro Vancouver! The only tiny advantage I see in this program is that it technically allows homeowners to have a higher equity in their property, as it boosts their initial down-payment. But the equity will never be higher than 19.90%, thus mortgage-default insurance will still be required. As most people in the PF blogosphere, I don’t think this program is a good idea. 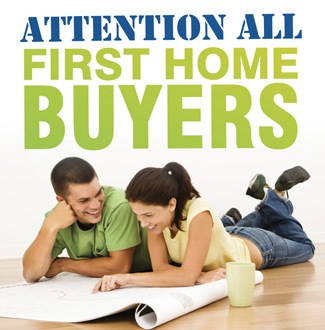 Luckily, it is limited to first-time home buyers and also in time. If you need to borrow money to fund the minimum down-payment requirement and closing costs, you can’t afford to buy a property, period. It also applies to the bank of Mom and Dad.